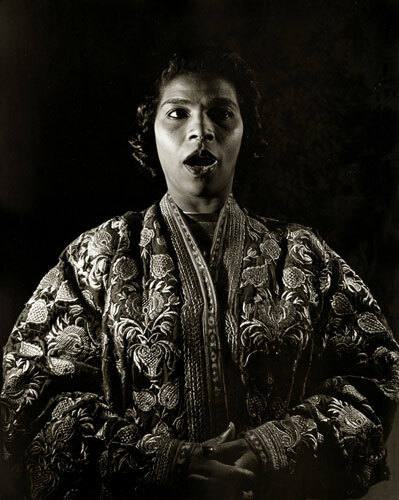 Marion Anderson was an African-American contralto and one of the most celebrated singers of the twentieth century. Anderson became an important figure in the struggle for black artists to overcome racial prejudice in the United States during the mid-twentieth century. This print measures 14 x 11. Halsman's stamp on the reverse, plus title and date in pencil.